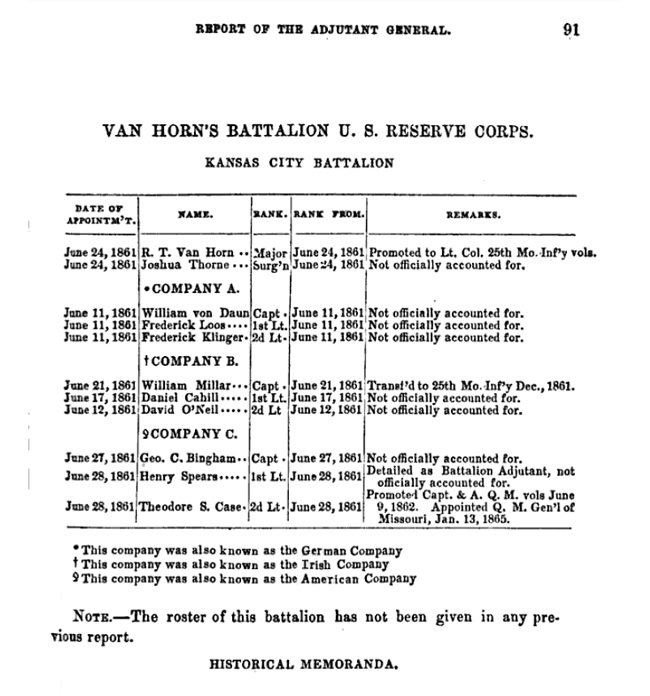 The Missouri Irish Brigade of Civil War Reenactors is happy to anounce the launching of Van Horn's Battalion Company B as it's youth member company. 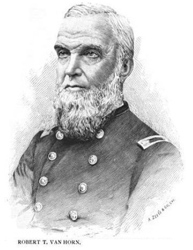 Van Horn was mayor of Kansas City in 1861. Alarmed by the growing rebel support in the rural counties surrounding the city and some of the lawlessness in the city itself he formed a Battalion of troops. Company A was a German Company. 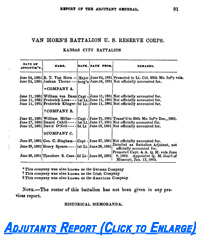 Company B was an Irish Company and Company C was the American Company. The battalion was Headquartered in a set of breastworks constructed around the foundation of the unfinished Coats House Hotel at the corner of Walnut and 12th Streets. In addition to acting as a feeder to the MIB, the long term goal for the unit is to allow the MIB to spend time working with a youth group teaching them about the civil war, life in the 1860s, and how soldiers lived and fought. This then would be followed up by the unit taking the field as a functioning company of troops. The Van Horn's Company B first mini muster will be held outside of Harrisonville Saturday, October 22.